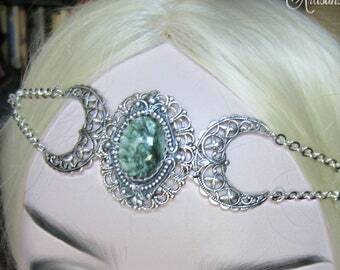 Center filigree crescent and Victorian looking side connectors are antique sterling plate. 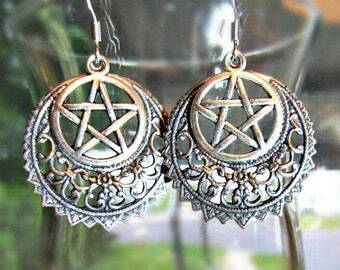 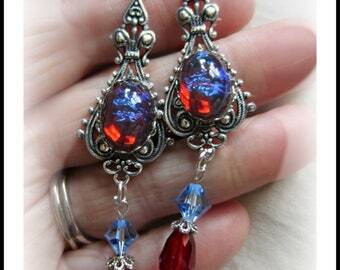 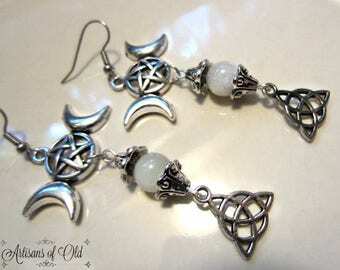 They have been adorned with tiny Garnet gemstone cabochons. 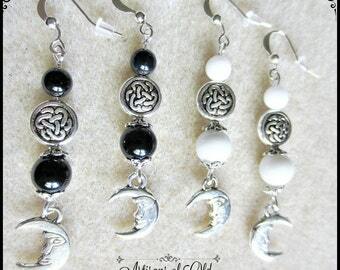 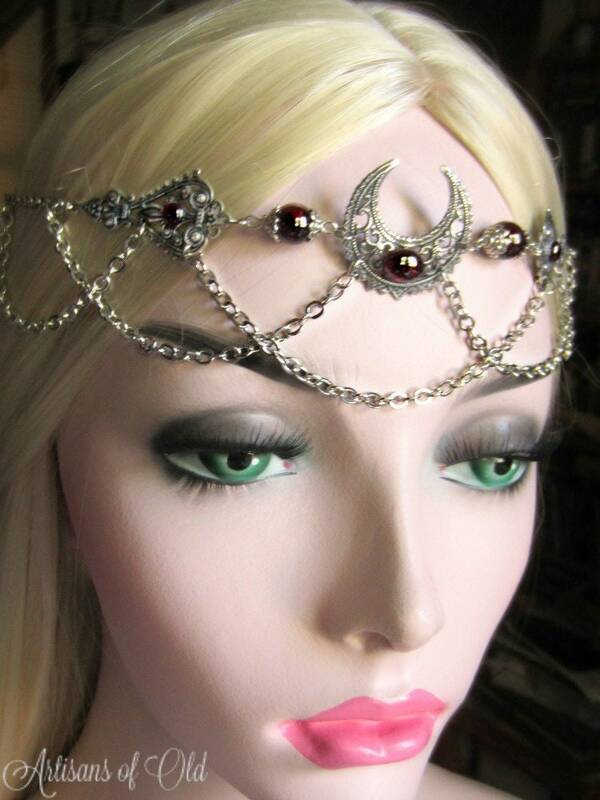 Garnet silver capped beads connect to the filigree pieces and antique silver chain sweeps across forehead and temples, closing securely with lobster clasp. 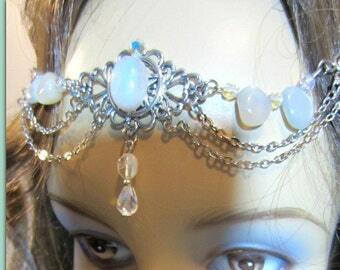 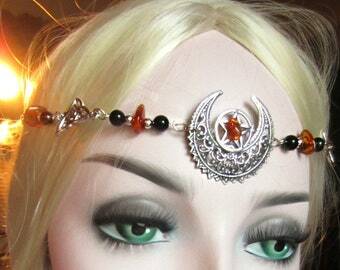 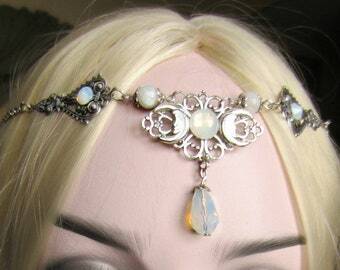 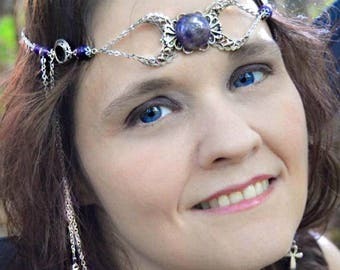 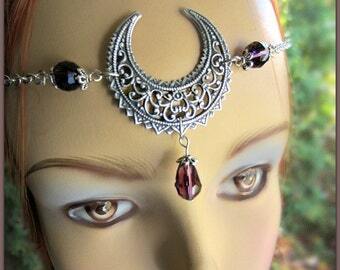 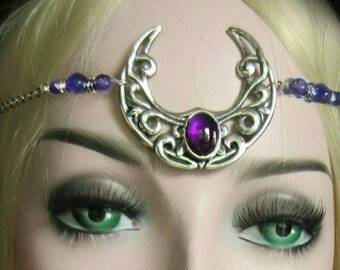 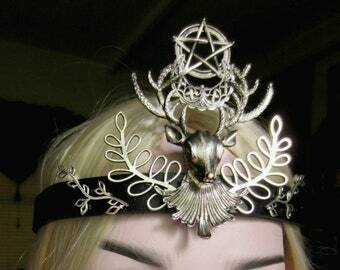 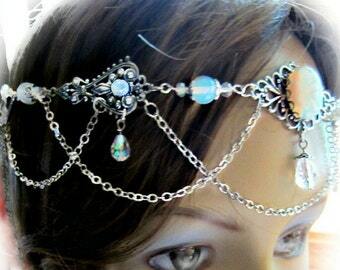 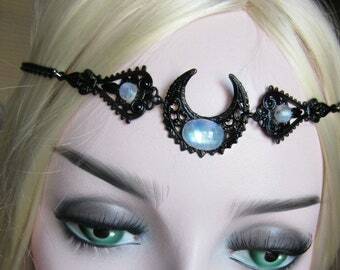 Circlet fits 20 - 24 inches. 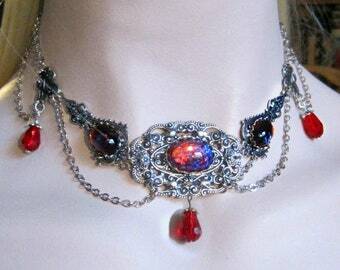 Choker fits 12 - 16 inches.Looking for more? 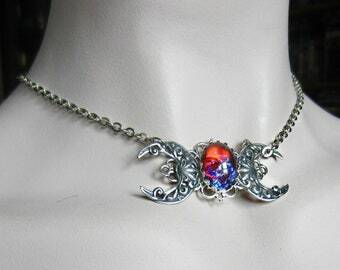 Click below to be brought to our secure front page.